UAlbany’s honor societies contribute to the development of a campus environment that celebrates learning and helps to attract and retain academically strong students. The University has attracted growing numbers of academically talented students in recent years. This year’s freshman class boasted an average high school GPA of 90.1 and SAT scores 15 points higher than the national average. This fall forty-four members of the UAlbany community were inducted into Omicron Delta Kappa, a national honor society founded in 1914 to recognize and encourage superior scholarship, leadership, and exemplary character. Membership includes juniors, seniors and graduate students, faculty and staff, alumni, and community leaders. Student initiates must be in the top 35 percent of their class, and must have demonstrated outstanding leadership and commitment to campus and community activities. “With the establishment of an Omicron Delta Kappa chapter at UAlbany, students, faculty and staff that exhibit extraordinary leadership in our community each and every day will be appropriately recognized for their efforts,” said Vice President for Student Affairs James P. Doellefeld. The Board of Directors of ΌΔΚ voted this fall to establish the UAlbany chapter. The University became the 289th institution to be awarded a charter in the Society’s 90-year history, joining some of the nation’s premier colleges and universities, including the University of Southern California, Purdue, Auburn, Vanderbilt and the University of Maryland. 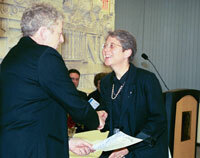 ΌΔΚ joins the company of a number of esteemed campus honor societies, including Phi Beta Kappa. Each semester outstanding students in the liberal arts are invited to join Phi Beta Kappa, the oldest and most prestigious honor society in the nation. Albany's chapter, Alpha Alpha of New York, was established in 1973 and is one of only 200 chapters at academic institutions throughout the country. 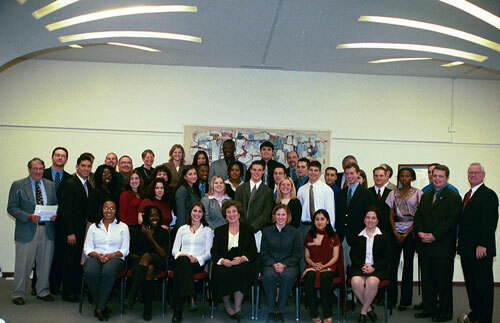 Eligibility for Phi Beta Kappa requires students to have a minimum grade point average (GPA) of 3.85 by junior year and 3.75 by senior year, with a balanced distribution of courses including math, science, foreign language and a representation in each of the Humanities and Arts, Social Science, and Math and Science. In the last three years UAlbany has inducted 131 new members to its chapter. Great Dane Fans! Come Rock the Pepsi!